I am sure lots of you have seen the video on social media, of a handful of West Ham fans blocking in David Gold from leaving after yesterday’s game against Swansea. The supporters are rightly upset after an awful defeat to a relegation rival. They have travelled a long way, in awful weather conditions to watch a terrible team performance. 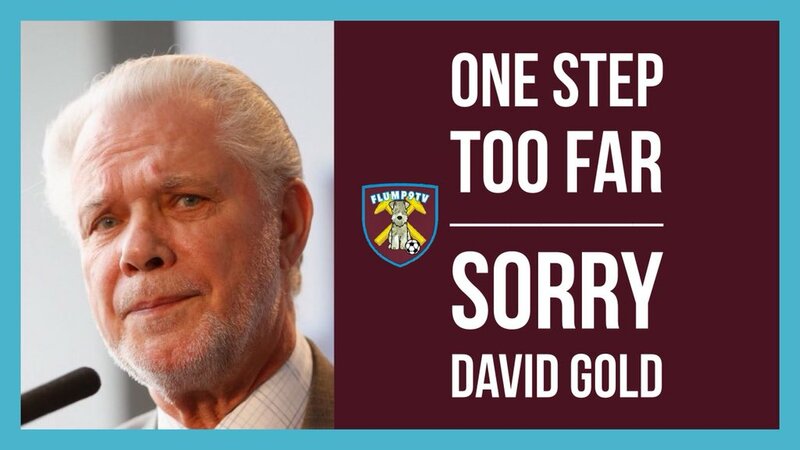 However, does that make it acceptable to hassle David Gold and stop him from travelling any further? In this short video I give my feelings on the incident and how I believe this creates nothing but a negative impression of West Ham Fans. Don’t forget to subscribe to my channel, as I will be giving away a signed West Ham shirt in the future. I agree totally. If it was my grandad I’d be very upset. West Ham fans in the main are better than this. Well said Flumpy. Complete disgrace by complete morons. And now I read some of our fans justifying and even saying it was staged. Idiots the lot of them.